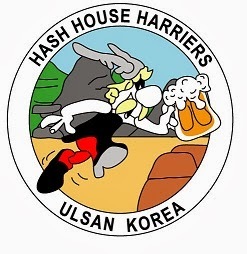 The 708th Ulsan Hash leaves from outside Seobu Foreigner’s Compound clubhouse at 11.00 AM on Sunday 7 Jun 2015. The Hare for the 708th Hash is “Harimau”. Food will be provided by “Mayo-nice”.